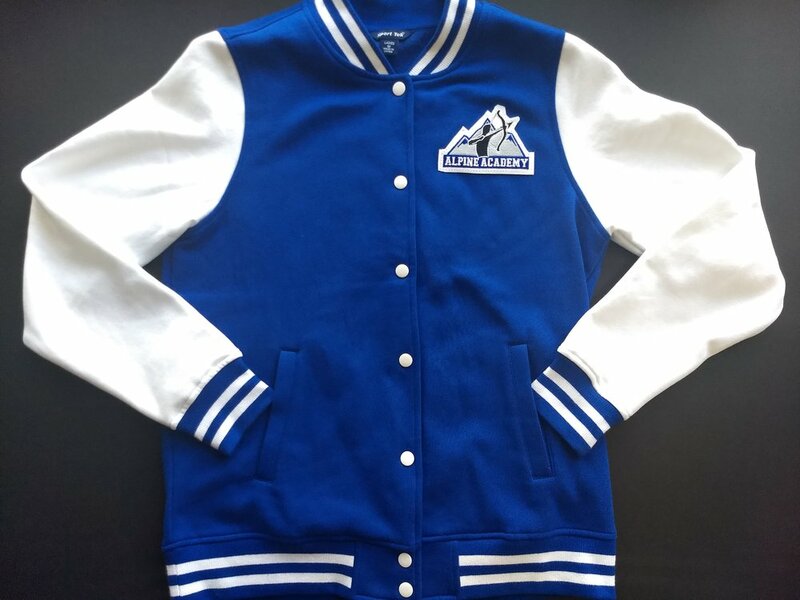 Alpine Academy is introducing a Fleece Letterman Jacket in lieu of the sweatshirts. The cost is 45.00, and they are ordered every Friday with an approximate 2 week turn around. The women's is blue with white sleeves, and the men's is blue with grey sleeves. Parents interested in authentic hand made Letterman's Jackets can contact Millers Jackets.